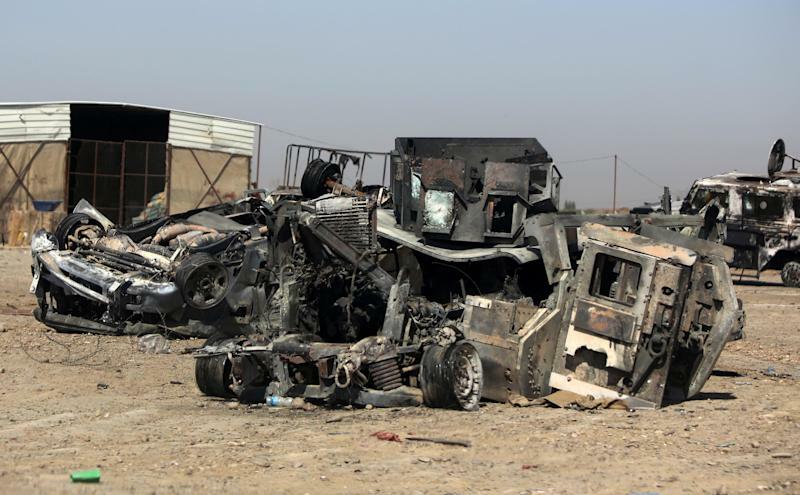 Samarra (Iraq) (AFP) - A roadside bombing Saturday killed the engineer tasked with repairing a key bridge on the main highway north of Baghdad, which jihadists destroyed last month, army and medical sources said. "Three people were killed and 11 others wounded by a roadside bomb explosion targeting their bus," a senior army officer told AFP. "All of them were technicians from the roads and bridges department in Samarra," he said. They were repairing a bridge just south of Samarra, whose destruction cut a vital supply line for the army, crippling operations farther north. "Among the killed was the engineer supervising the repairs," a medical source said. The July 29 attack on the bridge left the army and allied Shiite militias with only a secondary road that passes over Samarra dam bridge and is not suitable for the heaviest military vehicles. Samarra, 110 kilometres (70 miles) north of Baghdad, is a mainly Sunni city but also home to the Askari shrine, one of the holiest sites in Shiite Islam.